The Blue Stars have kicked off their 2007 season with audition camps in Minnesota, Indiana and Texas. Between the three camps students from all over the United States, Canada, the Netherlands and Japan have auditioned for the corps. The focus of these camps has been on education. Each member that has attended an audition camp has received individual instruction, fundamental technique sessions and ensemble performance experience both musically and visually. 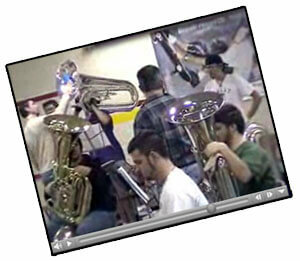 "We're very pleased with the amount of interest we have seen in students looking to join the Blue Stars in 2007. This is a direct testament to the recent efforts of the entire organization from instructors and designers to alumni and volunteers. It's an exciting time to be a part of the Blue Stars," said corps director Chad Armbruster. 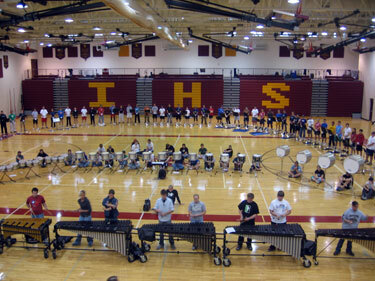 The Blue Stars next audition camp is Dec. 15-17, at Irondale High School in Mounds View, Minn. Prospective members in all sections are encouraged to attend. Visit www.bluestars.org for more information. Submitted by Bluecoats: Bluecoats created a video wrap-up from the corps' November audition camp. Check it out on www.bluecoats.com.